A Case of the Crabbies! Sorry to anyone who thought I was actually referring to reefer. 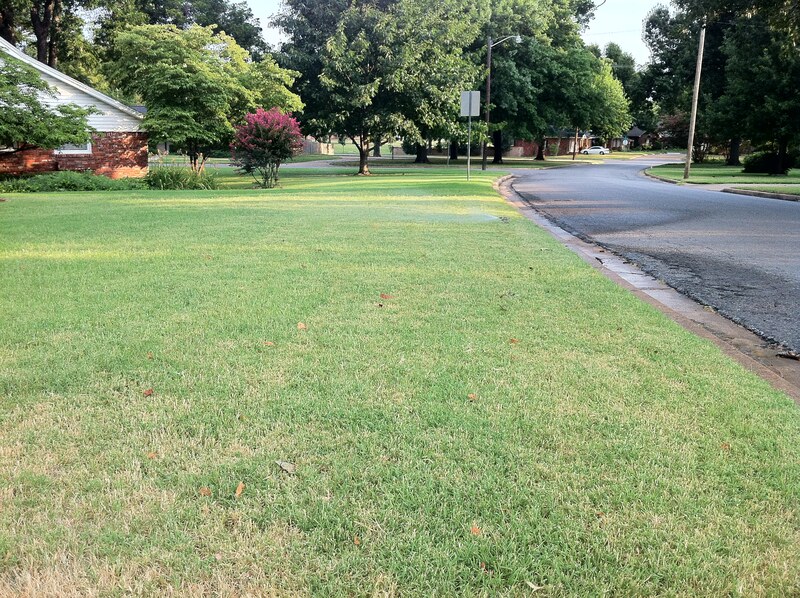 The grass I’m talking about is the stuff that pops up in your yard every spring and can be a real pain to get rid of. (Hmmm, I wonder why they call it CRAB-grass) There are chemicals you can use in the Spring, but they can be costly and have to be timed just right or they’re useless. Once it starts growing, other chemicals are available but they don’t always do the trick. So what’s left? Well, don’t go drown your frustrations with a bunch of munchies just yet. There is a simple and all natural way to get rid of these little nasties, choke them to death! Let your Bermuda do the deed. 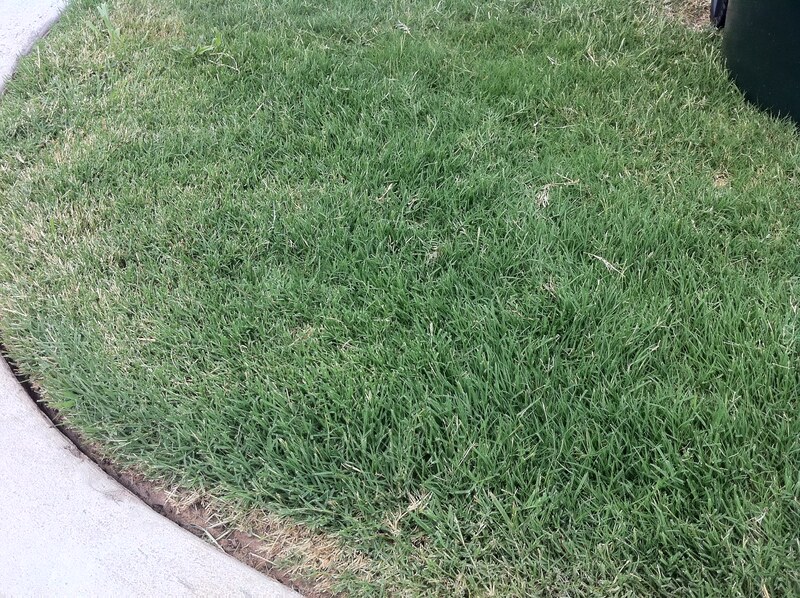 If you look closely at Bermuda grass, it has little horizontally growing lines called runners. 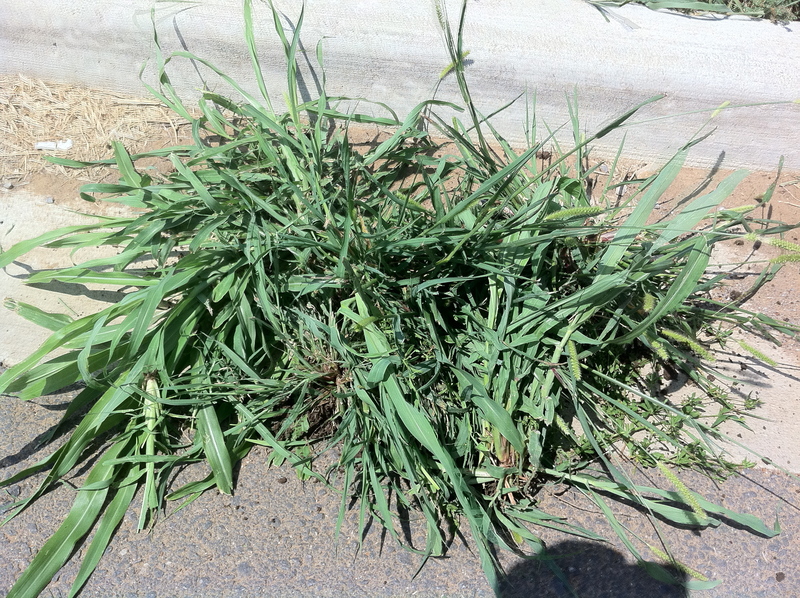 (These are the things that you often see growing down peoples’ curbs when they don’t edge.) 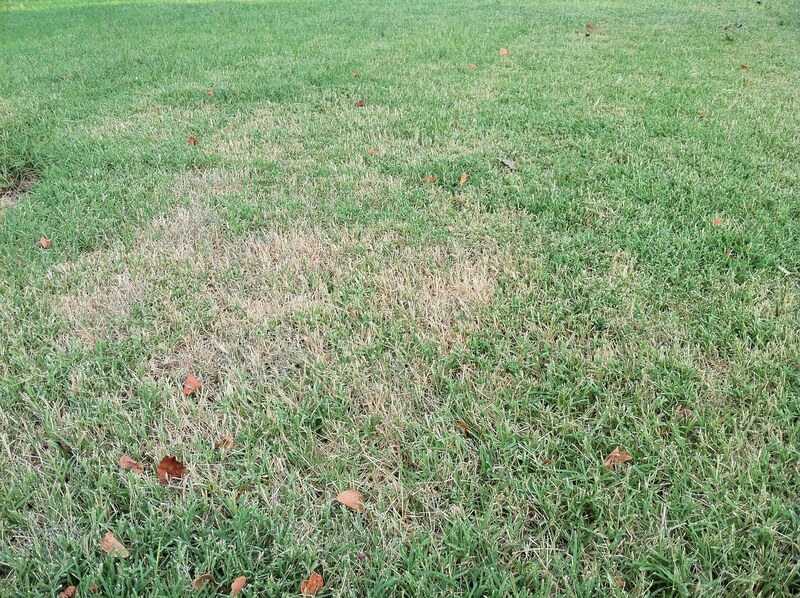 This is how Bermuda spreads and it’s also how Bermuda grass kills off the competition. So how do you use those runners to do your dirty work? 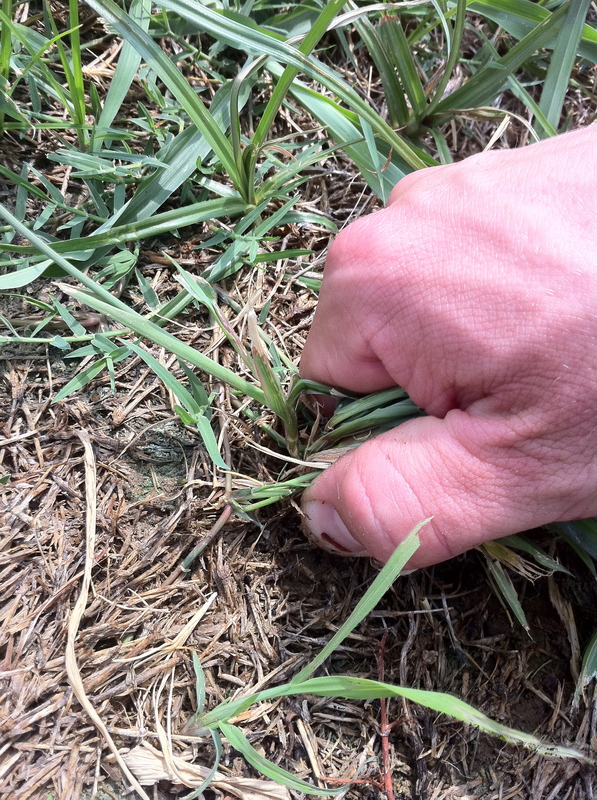 Step 1: After a good rain or an ample watering, when the ground is soft, grab the nasty grass down by the root base. 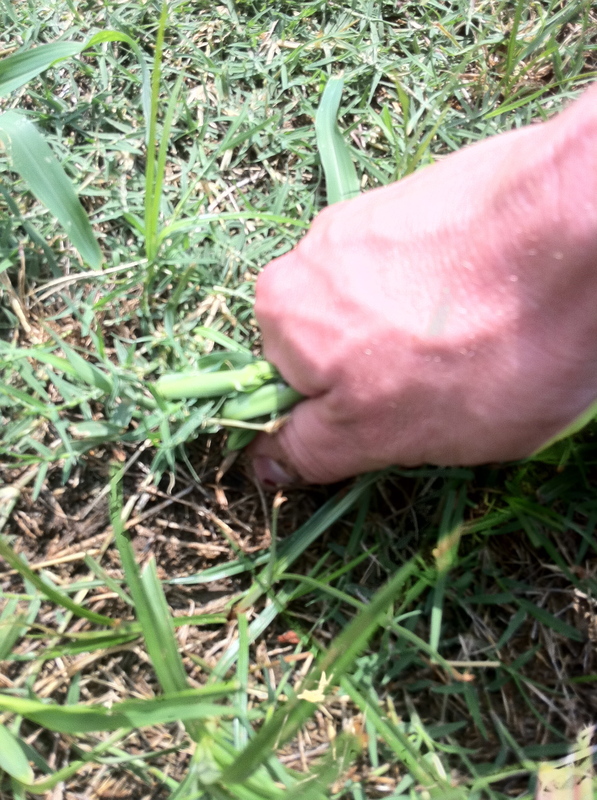 Be sure to gather up all of the branches of the crabgrass you are pulling on in your hand and, if you can, get your fingers just below the top soil for a good grip. Step 2: Once you have it, twist and pull, being sure to get the roots out. 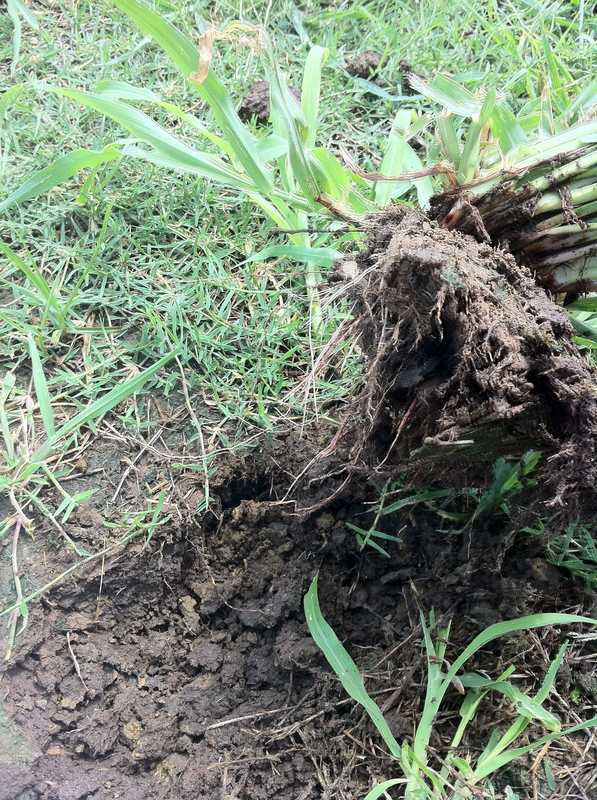 Once the area is clear, the Bermuda runners will spread through the area and any weed roots that are left will be choked out by the runners as they steal the nutrients and strangle the roots. The perfect murder! 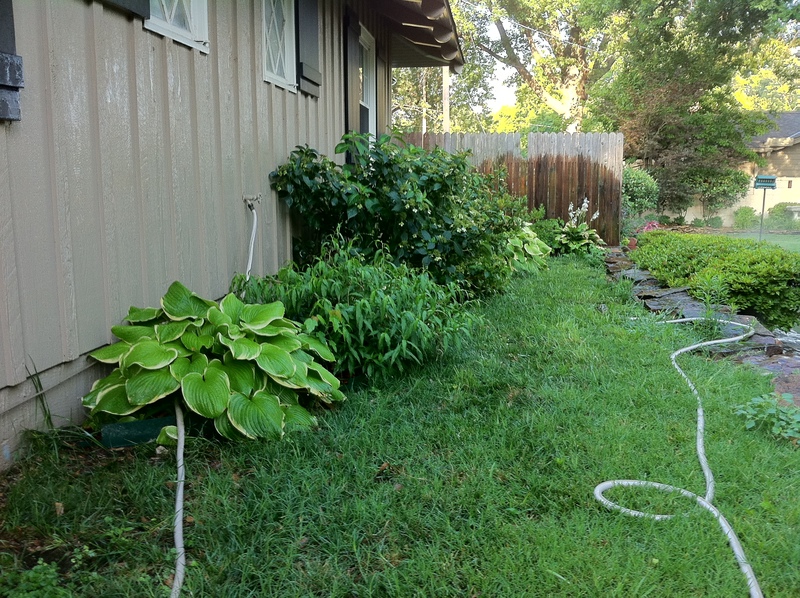 A little tip: After you have removed the unwanted’s, keep your yard trimmed short. This will allow the ground to get hot and Bermuda grass grows best when the ground is 80 degrees and up. Water it heavily 2 to 3 times a week and watch the once fugly portion of your yard change into a picture perfect curbside view! Now you just have to get rid of the bodies! I reccomend a few episodes of Dexter for advice on how to do that ; ) Or you could just throw them in the trash. Okay all of you “Un-Joneses”, let me start off by confessing that one year ago to the day, I was just like any of you who absolutely, positively, with a deep-seeded passion, HATED YARD WORK! My idea of the perfect lawn was exactly equal to my idea of a good personal head of hair; cut short enough so you couldn’t see the tangles and no bald spots. Anything outside of that was just whipped cream on the pancakes. Today, I’m the guy waking up in the early Saturday morn to water his beautiful bermuda and pluck the weedy’ lothario’s attempting to sneak their way into his beautiful flower beds. So what happened? 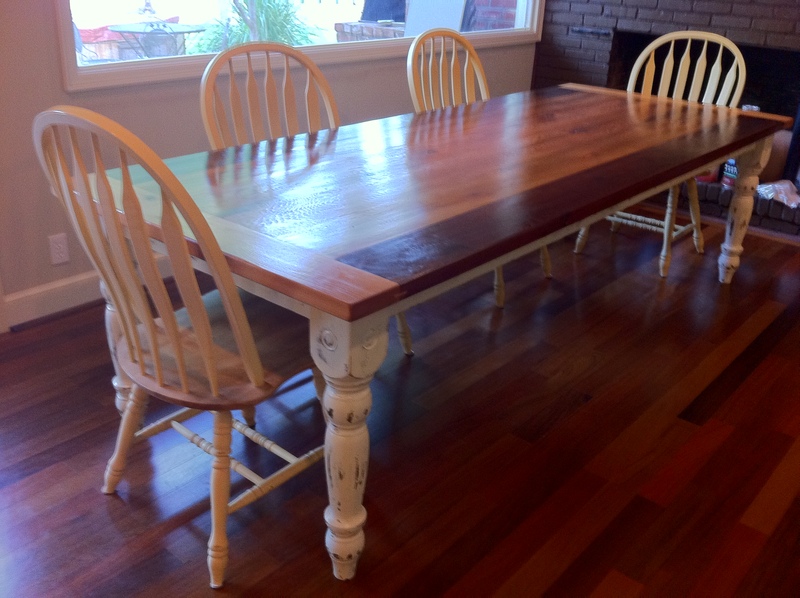 Occupational necessity meets new home in a neighborhood chock full of Mr. and Mrs. Joneses. And through the process, I have learned quite a bit that can help your yard to get Mr. Jones suffering through a few sleepless nights. It’s the most basic of needs for all living things. No water means no life. People need it, animals need it, the aliens in Battle: Los Angeles needed it and so does your grass. The main questions most face is when and how much. Some say early in the morning, some say late, some say 30 minutes a day, some say all night long (I believe this is Lionel Richie’s advice) But the truth is simple, E.H.I. – Early, Heavy and Infrequent. 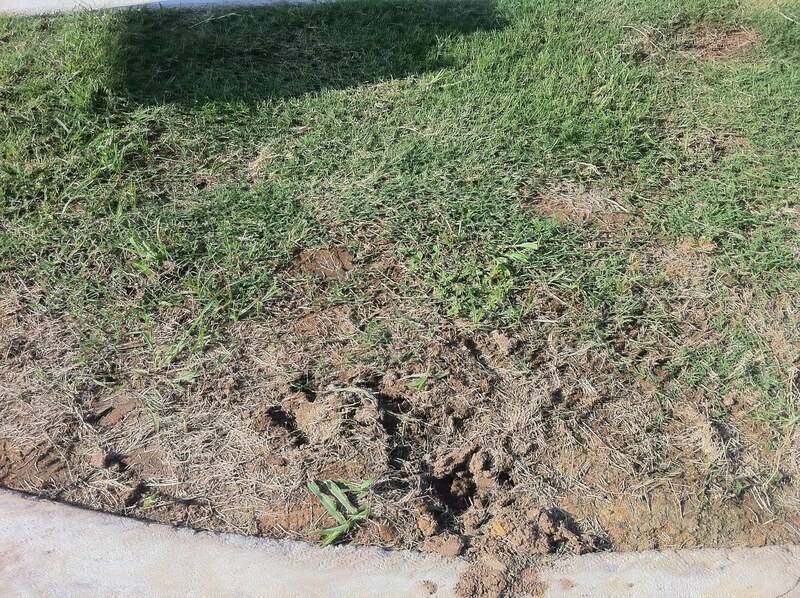 Here is a lovely picture of my yard after a few days of 105 degree heat and no water. Please give me a moment to wallow in my shame…..okay, back to work. Since you don’t beat the J’s by sulking around while your little slice of controlled nature dies from dehydration, set the alarm for 7 a.m. on a Saturday and get that water flying. Leaving the water on for a good hour before the heat of the day sets in and you’ll have a golf course green in no time. Granted, this change was not instantaneous. 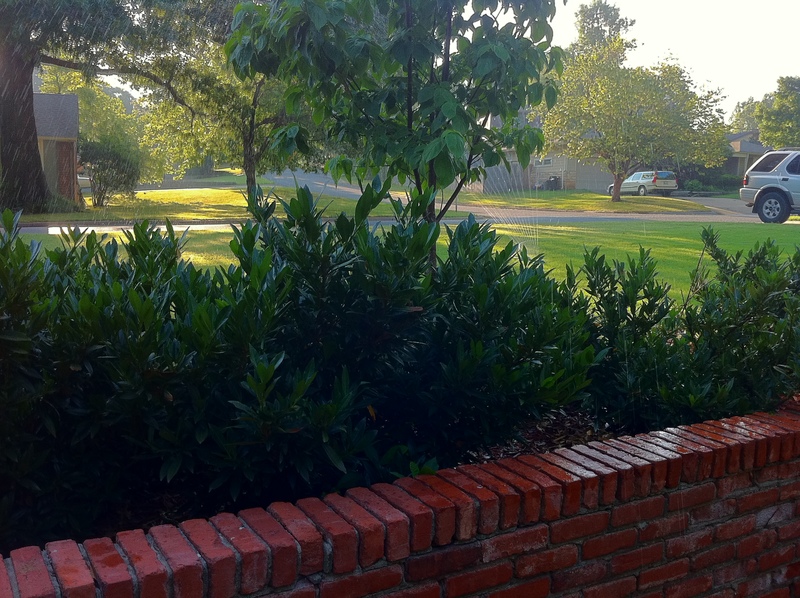 I watered the yard for an hour starting between 6:30 and 7:00 in the a.m. every 3 days over a 10 day period. 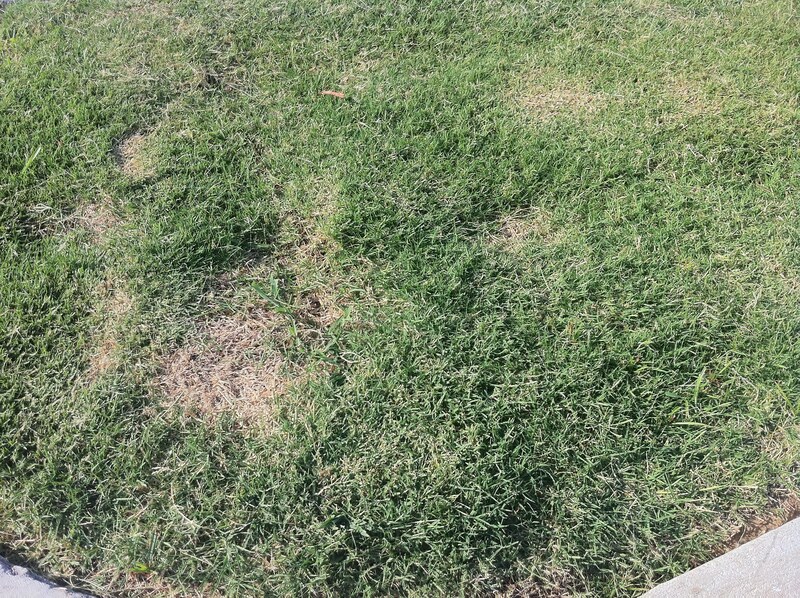 The reason being, Bermuda grass thrives in the hot, dry climates. When the soil temperature is 80 degrees and above, (like water temperatures, soil temp is not equal to air temp) the Bermuda grass will really start to take off. Because of this, you can’t water everyday, all day causing the ground to stay cool. 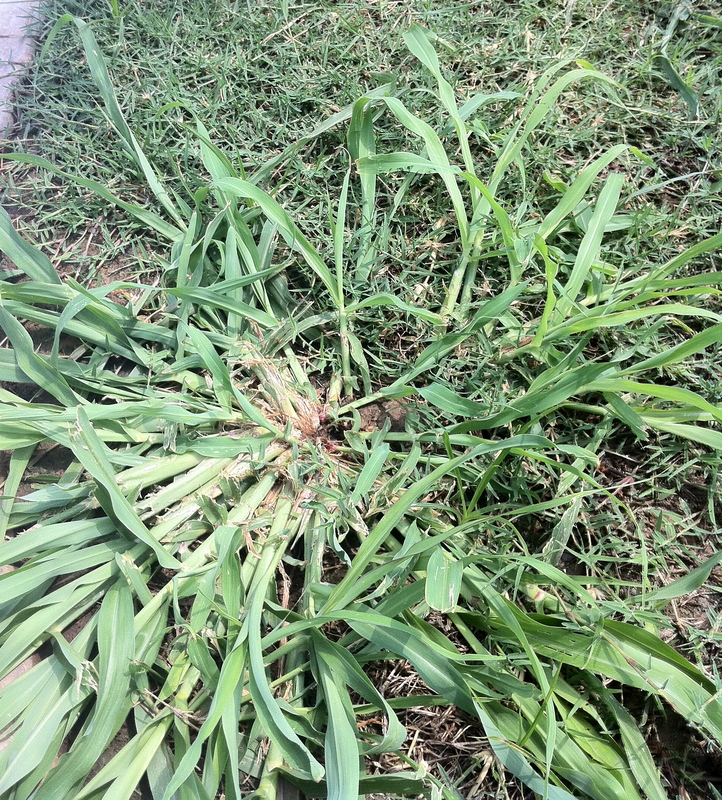 When the ground is cool, weeds can grow better; weeds that will steal the nutrients from your Bermuda grass. 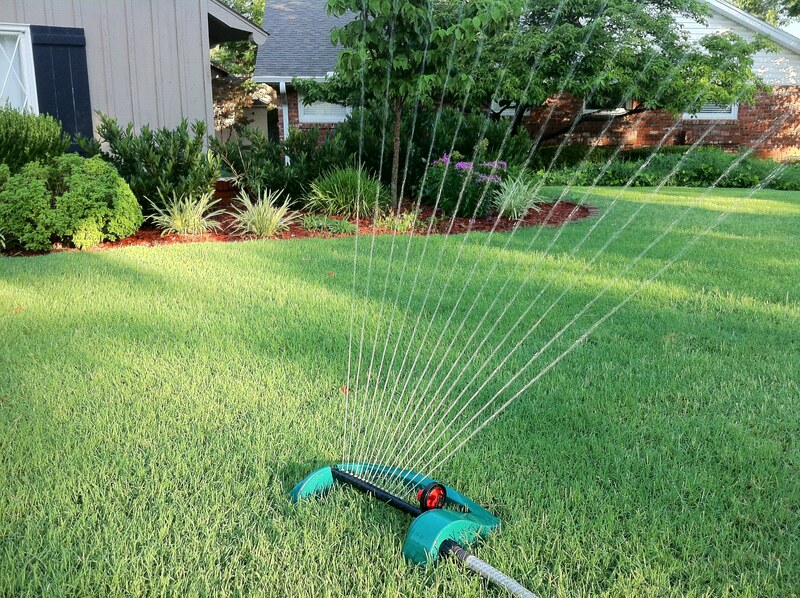 Watering your grass during the heat of the day, especially when the yard is already dry and browning, can actually cause it to burn. Just like little kids at the local pool who fry like piggies on skillet, your grass can get burnt up by the sun being focused through water droplets. 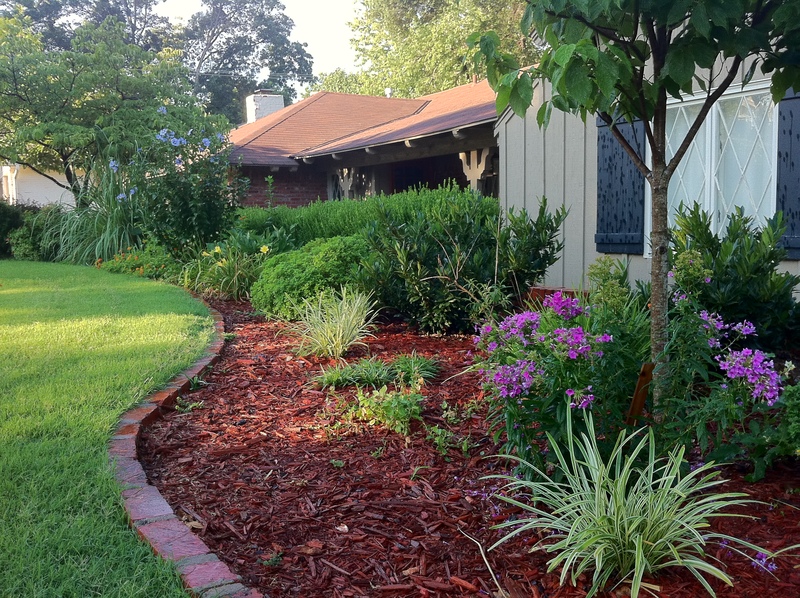 Water too late and not only does the yard have to compete with the heat escaping from the earth and taking the water with it, there is also a chance that fungus can grow and give you more brown to frown about. Watering for hours and hours will jack up that water bill and also promote insects in the yard since they too need water to live (you don’t see mosquitoes buzzing around the desert). 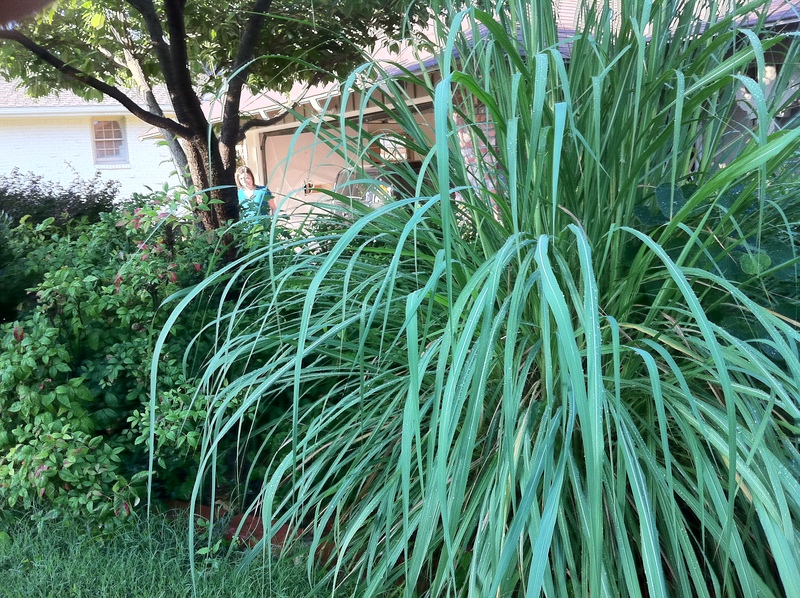 So save your money, grass and bug repellant by watering early, watering heavy and watering infrequently. Do this and you will be one step closer to being the envy of all those early morning walkers who saunter past your domicile. P.S. 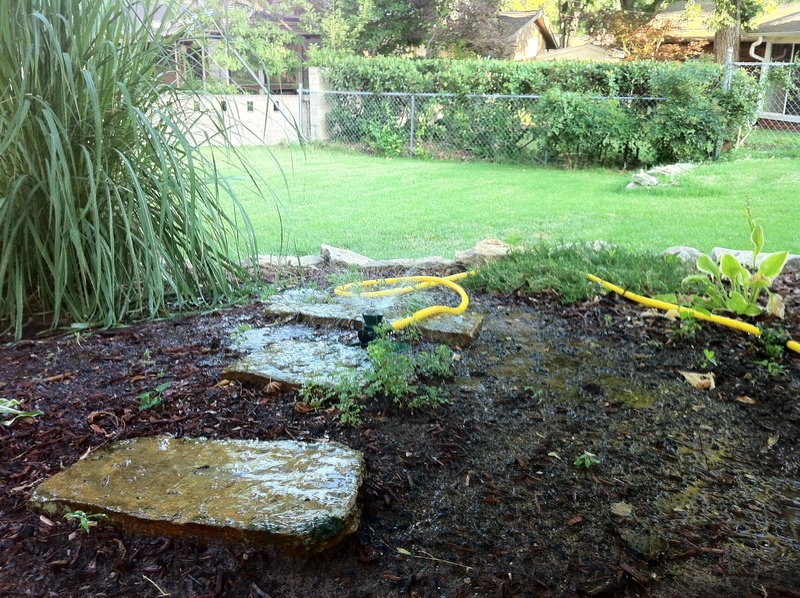 Your little beauties in the flower beds typically need more water than your Bermuda. You should water these for at least 30 minutes every other day when the temperatures are in that 90 plus to triple digit range. Since different plants need different amounts of water, you will want do a little research to make sure you are giving them enough, e.g. 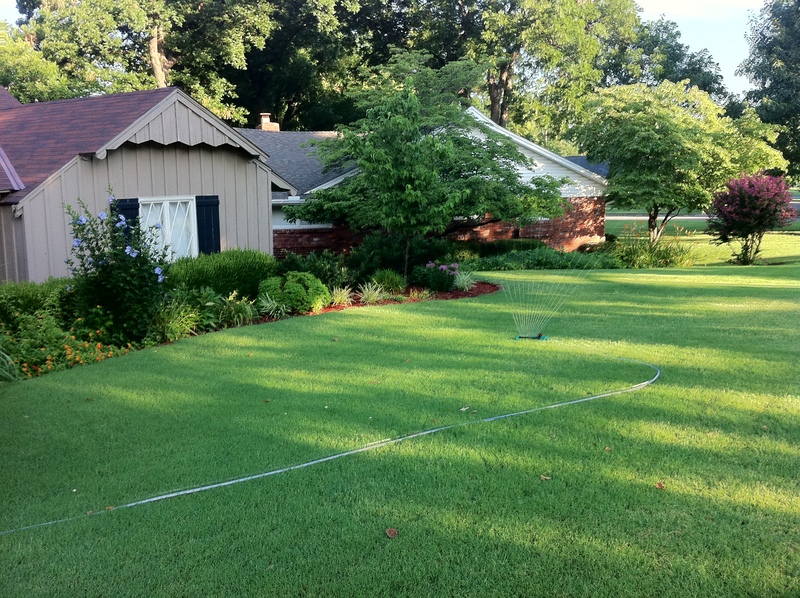 a large tree needs more than a wide patch of ground cover since the root area is larger and deeper.